Amerejuve Inc., Houston’s #1 medspa and a subsidiary of American Rejuvenation Centers, announced today the opening of its eighth location in the Greater Houston Area. The new facility is conveniently located at 1522 Kingwood Drive, Kingwood, TX 77339. The new center in Northeast Houston will continue Amerejuve’s tradition of combining first-class service with affordable prices. While I never minded driving to Houston because of the professional staff and affordable prices at Amerejuve, I am thrilled that it will now be so close to home. The only issue is will I be able to stay away! Amerejuve's rapid growth indicates that the medspa company's continued expansion throughout Houston makes it clear they have no intention of slowing down any time soon. The newest facility located in the heart of Kingwood offers a full-service medspa with cutting-edge technology and the latest in beautification services such as: laser hair removal; laser-based facial rejuvenation; body sculpting through non-invasive services such as VelaShape™, CoolSculpting by Zeltiq® and Zerona®; and dermal fillers and BOTOX®. "We are thrilled to serve the Kingwood and Humble area to bring our esthetic services to an even greater part of Houston," says COO Frank Naghavi. "We combine the latest technology with well-trained and experienced staff to offer those throughout the Greater Houston Area a full range of beautification services. We know that it shouldn't have to cost a fortune to look your best. We are eager to become a part of the Kingwood/Humble community." Amerejuve's Kingwood location will serve those who reside in Northeastern Harris County, and includes Humble, Atascocita, Roman Forest, Fall Creek, Summerwood and Eagle Springs communities. With the addition of Amerejuve into Kingwood's Livable Forest, residents will finally have options when it comes to a full line of medspa services. Amerejuve is the only medspa in the area to offer body sculpting services and cellulite removal by VelaShape™, as well as one of the few that offer beautification services such as skin tightening with ReFirme™, sun spot and wrinkle removal and laser-based skin rejuvenation. Kingwood resident Corinna Sanchez is a long-time client of Amerejuve and is excited that Houston's number one medspa is opening a location in her area. "I couldn't be happier that Amerejuve is coming to Kingwood. While I never minded driving to Houston because of the professional staff and affordable prices I always received at Amerejuve, I am thrilled that it will now be so close to home. The only issue now is will I be able to stay away!" Amerejuve Kingwood Grand Opening celebration is scheduled for December 15th, 2012. As Houston's #1 medspa, Amerejuve is a pioneer in the field of body sculpting and is the only place in Houston that offers these non-invasive services to their clients. For those that want a non-surgical and pain-free option to contour their waist, hips or thighs and remove stubborn fat for good, Amerejuve's options are limitless. Choices include fat and cellulite removal with ZERONA®, CoolSculpting by Zeltiq®, fat busting ultrasound by VASER Shape® and Bella Contour, all of which offer Amerejuve clients pain-free methods of body shaping that work by targeting and then shrinking fat cells that have accumulated around the waist, hips or thighs. The body's lymphatic system then flushes out the released fat, leaving behind a smaller waist, trimmer hips and sleeker thighs. One can expect to lose 3.5 inches off their waist, hips and thighs with ZERONA® once the body flushes out the cells within two weeks after treatment. With CoolSculpting by Zeltiq®, clients will see a noticeable reduction of inches about three weeks after treatment, with results that will continue for the next four to six months as the body continues to flush out the frozen cells. These safe and effective methods of losing fat and dropping inches need no recovery time, cause no bruising, scarring or pain, and are both surgery-free. Amerejuve's expansion into Kingwood follows the recent announcements of their rapid growth with their sixth and seventh locations in The Woodlands and Memorial area announced just last month. Amerejuve Kingwood is their eighth location in the Greater Houston Area. Continued growth throughout the Greater Houston Area for Amerejuve is accompanied by the recent launch of their Beautiful Bride Package, which offers discounted prices on services for brides-to-be. Included are the most requested services by bridal clients: laser hair removal, dermal fillers, facial rejuvenation, body contouring, cellulite removal and LATISSE® for full, dark lashes. Amerejuve has also paired with RedCircle to offer a revolutionary option for brides-to-be with their 'Wedding Gown Slim Down' program. Their promise is that by following RedCircle's weight and wellness program, each and every bride will fit into her wedding gown by the bride's big day - guaranteed. With a scientific-based weight loss and wellness program designed specifically for each client and formulated according to each individual’s cardiometabolic profile and genetics, weight loss can be simplified, attainable and long-lasting. Find out more about RedCircle on their website at http://www.myredcircle.com. Amerejuve MedSpa’s innovative approach to wellness combines beauty, science and service to give its clients options that best fit with each individual’s goal, whether that means preventative or restorative (correction, reduction or enhancement) esthetic services. Amerejuve’s full line of beauty services, which include laser hair removal, body contouring and cellulite reduction, lip enhancement, facial contouring, wrinkle removal and erasing sun spots and acne scars, is unparalleled in the medspa industry, and all services are available at affordable prices. Amerejuve is also the only medspa clinic in Houston that offers customer service available to clients 24 hours a day, seven days a week via phone or through their website. 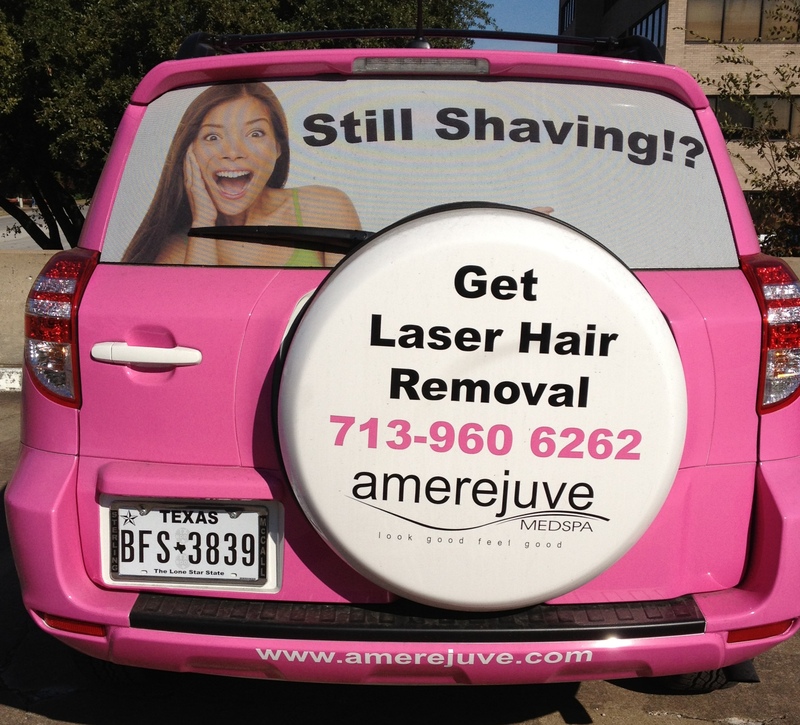 With so many locations throughout the Greater Houston Area, Amerejuve has become Houston’s number one provider of laser hair removal, cosmetic and non-surgical skin treatments. Medspa services include BOTOX®, RADIESSE®, Restylane®, JUVÉDERM®, ReFirme™, LATISSE®, VelaShape™, SmartLipo™, CoolSculpting by Zeltiq®, Zerona®, cellulite and circumferential reduction, laser-based skin rejuvenation, skin tightening, microdermabrasion and chemical peels, all available at Amerejuve’s eight state-of-the-art facilities with locations now in Katy, Sugar Land, Clear Lake and League City, Northwest Houston, the Galleria area, Memorial, The Woodlands and Kingwood. To schedule a free consultation at any of the eight Amerejuve locations, please call (713) 960-6262 or visit them on the web at http://www.amerejuve.com. Amerejuve can also be found on Facebook (http://www.facebook.com/AmerejuveMedSpa), Twitter (http://www.twitter.com/AmerejuveMedSpa) and YouTube (http://youtube.com/Amerejuve), where they offer weekly prizes and giveaways. Spot the Pink Car!Take a pic, post it on Facebook or Twitter & you'll win $50 cash! Amerejuve Announces 'Beautiful Bride' PackageLaser Hair Removal, Facial Refining, Body Contouring at Discounted Prices for Brides-To-Be Fit into your wedding gown by your wedding day - guaranteedRedCircle's Wedding Gown Slim Down Remove sun and age spots with Amerejuve for younger, youthful skin Amerejuve MedSpa offers laser hair removal, dermal fillers, body sculpting, cellulite removal and more!